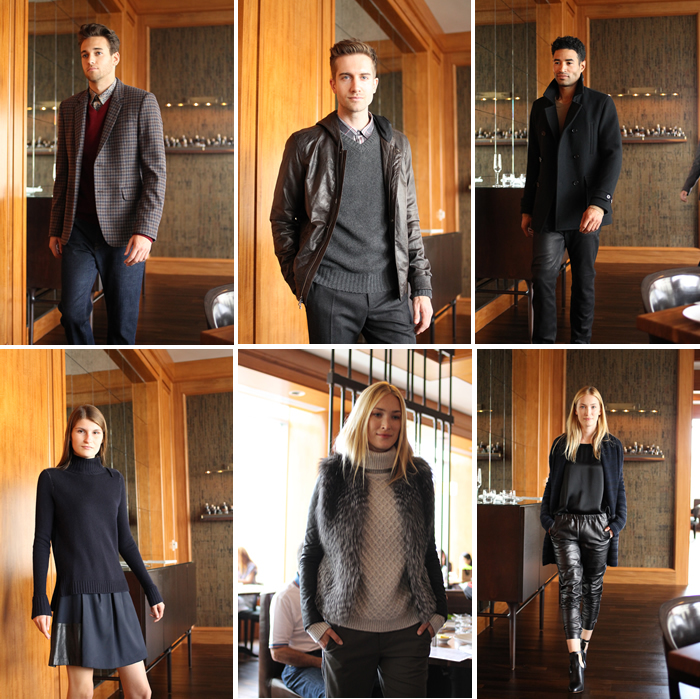 This past weekend, we attended a lovely brunch hosted by The Four Seasons Hotel MKT Restaurant who partnered with Vince to show off selections from their 2013 Fall/Holiday Women’s and Men’s collections. It was a really neat experience as we get to mingle, sip on bubbly and have an up close look of the collection while the models walk the dining room floor. The special 3 course menu created by Executive Chef Mark Richardson was also delicious! As much as I love the typical “runway” fashion show, this was definitely much more intimate and I love that. Oh my! You rock a crop top like no other KT….& what a booty you have there! I love this monochrome look on you! You are gorgeous and that skirt hugs you in all the right places! I love this perfect balance of sophisticated and edginess you’ve got going on. And that Vince show looked awesome (the hottie models definitely helped ;) )! I would loooove to see those leather trousers on you sometime soon! Super cute! This skirt hugs your body like no other!! Is it easy to walk in since it’s snug all around? I have been looking for a tight fitting skirt like this but wasn’t sure how it feels when walking. Also, was curious what size are you wearing? Thanks KT! Hope you answer! I love not so basics! Beautiful outfit! I love it! 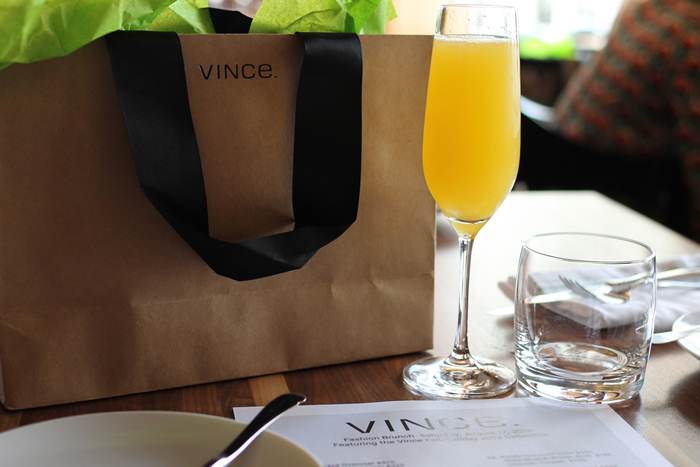 The pictures of the Vince Fall Collection are amazing! Oh, those slouchy leather pants are definitely lust-worthy. I’m loving your outfit too, that skirt makes you look bootylicious!